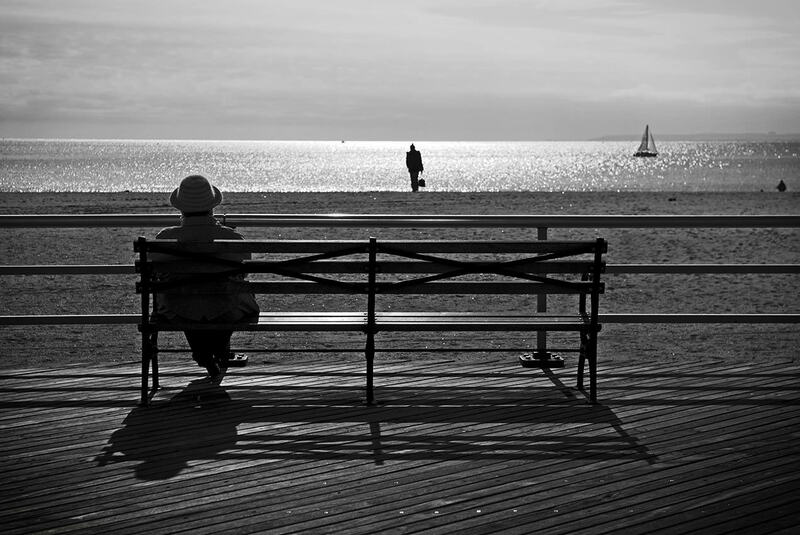 A woman sits on a bench on the boardwalk of Coney Island in NYC. The borough of Brooklyn owns in the south, the district of Coney Island. The Riegelmann promenade spans the entire length of the beach. Benches allow walkers to rest and contemplate the ocean and breathe the sea air. L’arrondissement de Brooklyn abrite au sud le quartier de Coney Island. La promenade Riegelmann s’étend sur toute la longueur de la plage. 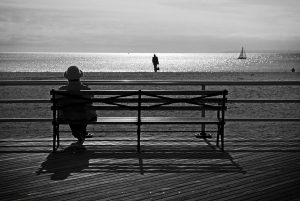 Des bancs permettent aux promeneurs de se reposer.